Malina Bickford is a Michigan native that bartended her way through the U.S., after graduating from the University of Michigan in the middle of the ’08 financial crisis, and ended up in Los Angeles, taking her passion for cocktails and becoming the US brand manager for Åhus Akvavit, a new spirit from Swedish liquor company Absolut. 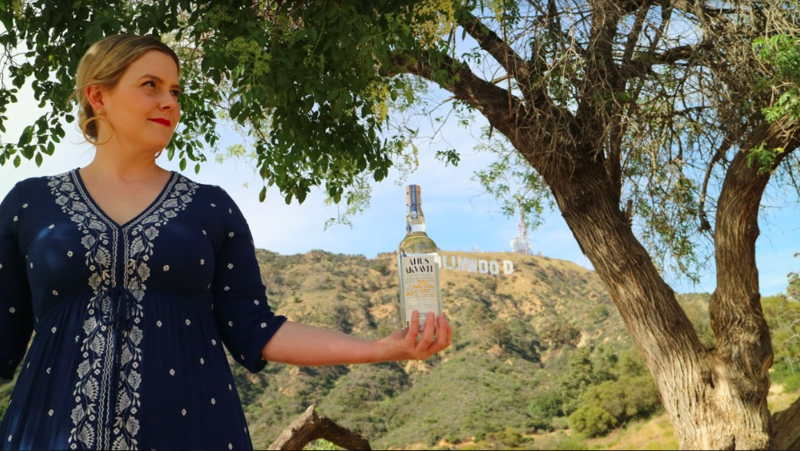 After discovering the brand, and the vision behind it, Swedes in the States decided to catch up with Malina to find out more about how this old Swedish tradition has been revived through Åhus Akvavit, and her plans to open up Americans eyes to this unconventional, one of a kind liquor. Åhus Akvavit is Absolute’s newest passion project/brand. Tell us more about the birth of the brand? 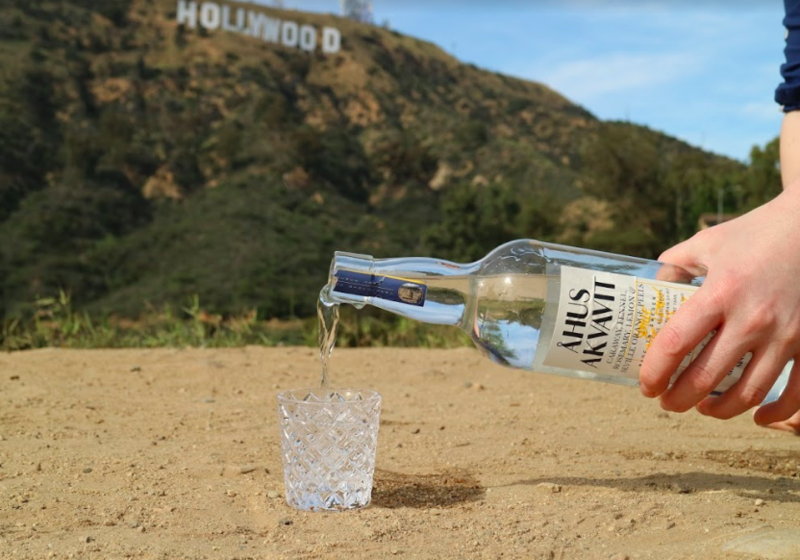 Although it is a part of the Absolut family, Åhus Akvavit is the reflection of a heritage that stretches back long before vodka was ever made there. The village of Åhus in southern Sweden has been distilling since 1906, when their main distillery or Spirit church as they call it, was first built. For most of the 20th century, all Swedish akvavit was made in Åhus. Later, akvavit production was halted for a short period as the village concentrated on perfecting their vodka distillation but the importance of keeping the local tradition alive led to the creation of Åhus – technically a new akvavit but actually the result of over a century of practice. How did you decide that you were going to be the one to bring Akvavit to the U.S.? I got involved with Åhus through a referral by a friend in the industry. When I first visited Sweden to meet the team and discuss the project, I immediately fell in love with Stockholm and most especially, Åhus, the small town where our akvavit is made. Being there just felt right to me. I’m super passionate about the way a drink can bring people together. Learning about snaps, the history of akvavit and how integral it is to Swedish culture was so exciting and I knew that it’s something drinkers in the States would appreciate. In the past decade, bartenders and consumers here have become extremely interested in quality, history, traditions, and sustainability – which happen to be pillars of what Åhus Akvavit is all about. Getting to immerse myself in Swedish culture along the way has been important but also a huge perk. if you ask me. I’m hoping that if I drink enough akvavit and eat enough toast Skagen, I’ll become Swedish myself. What separates Åhus Akvavit from the Akvavit already in the U.S. and how similar is to traditional Swedish akvavit? The philosophy behind Åhus Akvavit is that there’s no need to cast aside old traditions in order to create new ones. Åhus is made adhering to all of the time-honored standards of traditional akvavit. It’s only different in that the botanicals are blended with a lighter touch resulting in a bright, balanced flavor profile that’s really versatile in cocktails and can be paired with not only Scandinavian food but all types of international cuisines. It appeals to a broad range of tastes and occasions. The beautiful thing about akvavit is that each of them is entirely different, with unique nuance and character; some brand new and others reflective of centuries of tradition. 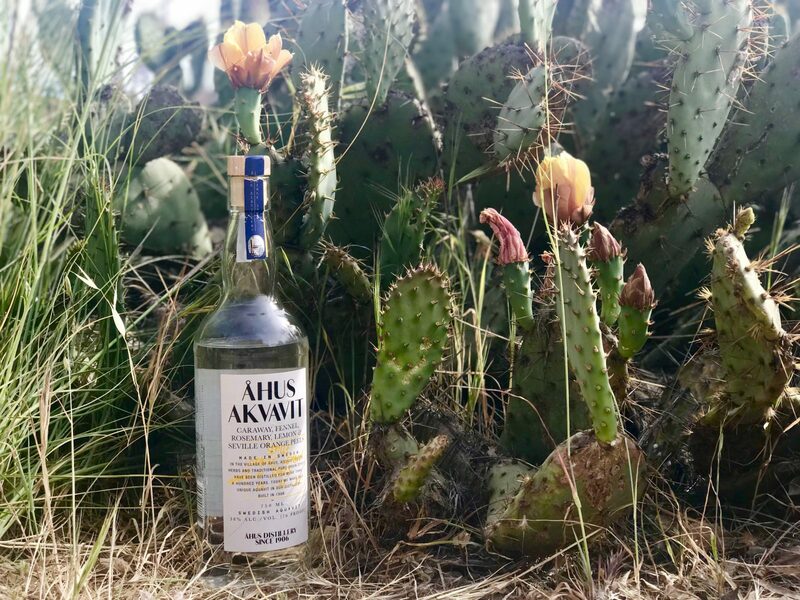 Amid the diverse selection of akvavit now available in the US, Åhus is one of the few that’s steeped in heritage but also forward-looking. What do Americans think about akvavit? The way trends with spirits tend to work in America is, first the bartenders have to get excited about it and then it trickles down from there. Currently, a lot of bartenders are really geeked on akvavit, as there’s nothing else quite like it here and the botanicals are so unique to work with in cocktails. More and more bars are featuring akvavit drinks on their cocktail menus and guests are starting to really get into it. Additionally, there are pretty significant Scandinavian ex-pat communities scattered across the country and a general interest in a Scandinavian culture that helps spread the gospel of akvavit. Where is Åhus available in the U.S? At the moment, Åhus Akvavit can be purchased at Bar Keeper in Silver Lake, at K&L Wines in Hollywood or on their website klwines.com and a variety of craft cocktail bars around town. What is your vision for Åhus Akvavit? For me personally, as an American, learning about akvavit and the culture surrounding it has been completely fascinating. Drinking in the States is now a totally globalized experience, as we’re fortunate enough to have access to wine and spirits from all over the world. People here are curious and engaged in trying new flavors and I’m genuinely honored to play a role in introducing more Americans to the Swedish tradition of celebrating with akvavit. This country is such a hodge lodge of people from all over the place, so we don’t have many longstanding traditions like that of our own. Akvavit fits perfectly into the existing creative cocktail scene so my long-term vision is to see people drinking Åhus Akvavit just as much as they currently order, say, gin or vodka. For now, my focus is on LA and along with the team leading me in Stockholm, building this brand as thoughtfully as I can, out of respect for the centuries of craftsmanship that led to creating it.